Former Board of Control for Cricket in India president Raj Singh Dungarpur, who died in Mumbai on Saturday at the age of 73 after protracted illness, will be remembered in the history of Indian cricket as the chief selector who introduced Sachin Tendulkar at the international stage. Affectionately called 'Rajbhai' in the cricket fraternity, Dungarpur headed the selection panel that chose Tendulkar in the team captained by Krish Srikkanth for the tour to Pakistan in 1989-90. Dungarpur, who died as a bachelor, was also instrumental in amending the rules of the Cricket Club of India (CCI) to allow Tendulkar to use its dressing room as a 14-year-old in an effort to smoothen things for the champion batsman very early in his glittering career. It was also a selection panel with Dungarpur at its helm that elevated Mohammed Azharuddin as the captain of the Indian team and paved the way for what he later termed as the "Team of the Nineties" which included Tendulkar and Anil Kumble, among others. Mian, captaan banoge? [You want to become captain? ]," were the famous words he uttered to Azharuddin before making the Hyderabad stylist the captain as replacement for an out-of-form Srikkanth in 1989-90 when India toured New Zealand. Born on December 19, 1935 as the youngest son of Maharawal Lakshman Singhji, the ruler of Dungarpur in Rajasthan, Dungarpur had worn different hats in more than 30 years as administrator of Indian cricket. 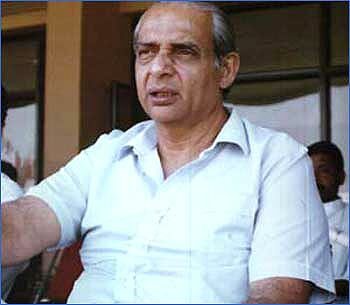 He was president of the Cricket Board for three years in the late 1990s, president of the CCI for 13 years before he fell ill last year, was team manager in Indian team's several tours abroad and chairman of the senior selection panel. Dungarpur himself had played the game at the first class level. He played Ranji Trophy for Rajasthan for 16 years between 1955 and 1971, as a medium-fast bowler. During his education in Indore's DAV College, he had the good fortune to come into contact with the great C K Nayudu and Mushtaq Ali, who played for the all-powerful Holkar team, and built up his cricketing knowledge. He made his mark in the willow game as a player by representing the Rajasthan team for more than two and a half decades as a medium-fast bowler with a long run-up. The gangling bowler captured 206 wickets in 86 matches and rubbed shoulders with stalwarts like Vijay Manjrekar, Hanumant Singh and Salim Durrani but never played for the country in Tests. Dungarpur, a close friend of melody queen Lata Mangeshkar, turned to cricket administration after his playing days and also donned the manager's role on several tours with the Indian team notably to England in 1982 and 1986 and Pakistan in 1984-85 and 2005-06. 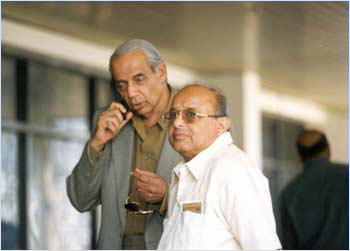 He entered the BCCI through the CCI, one of its affiliated units, and rose to head it for three years in the late 1990s. He was among the handful of cricketers who became chairman of the senior selection panel despite being a non-Test player because of their vast knowledge of the game. After being instrumental in changing the rules of the CCI, which did not allow minors to use its dressing room, to facilitate a 14-year-old Sachin Tendulkar to play for the club, Dungarpur was at the helm of the selection panel that chose the champion batsman on his first international tour. He described the precociously talented player's selection as "It went like a shot" to waiting newsmen. 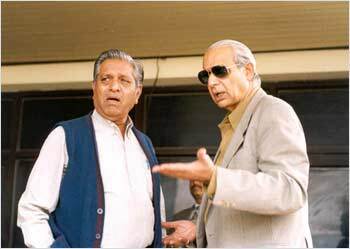 As the BCCI president, he was always available to give his views, however controversial they turned out to be, on any development when contacted by media persons. 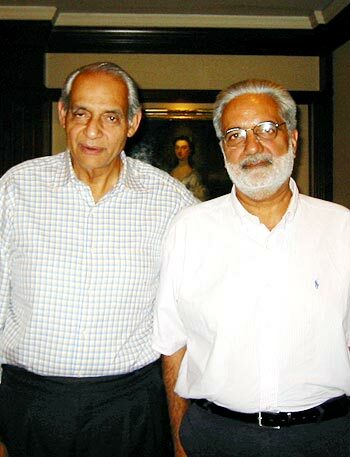 He always held the former cricketers in high esteem and there was never a formal gathering under his tenure as CCI president without the presence of former Test stalwarts Umrigar, Nari Contractor, Bapu Nadkarni and Dilip Sardesai, among others. He was instrumental in starting the "Legends Club" at the CCI to perpetuate the memories of stalwarts Vijay Merchant, Hazare and Vinoo Mankad. Dungarpur was fond of repeating ad-nauseum the infamous top-order capitulation in which four wickets were lost for 0 in the Leeds' Test of 1952 when a fiery Fred Trueman and the great Alec Bedser ripped open the Indian innings. It later became 26 for five at the loss of Polly Umrigar before captain Vijay Hazare and all rounder Dattu Phadkar came to the team's rescue with a century stand. Dungarpur, whenever given the opportunity to talk on Indian cricket, used to refer to this incident and say "Hazare told Phadkar in Marathi -- don't worry (when the two joined forces) and the latter retorted - but captain see the scoreboard." With a hearty laugh, Raj Singh once described the selection of a former opener in the Indian team when he was not on the panel, "Oh, that man who gives Charlie Chaplin (type) catches". There was another incident when a tongue-in-the-cheek remark by him, as chief selector, led to a furore. Asked about the absence of former pacer Chetan Sharma, who was not in the running, in the team list he jokingly said, "Chetan, Who". It was given wide publicity in newspapers the next day. It was heart-rending to see the man, who lived and breathed cricket, unable to relate to on-field happenings following the onset of Alzheimer's disease when a first class match was in progress at the Brabourne Stadium last season. He later vacated his room at the CCI and took up residence elsewhere where he passed away on Saturday.